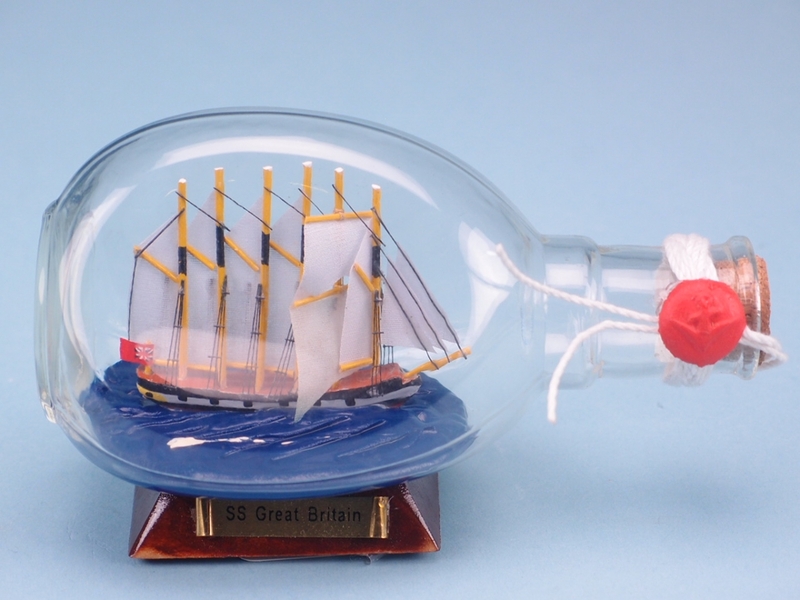 Replica of SS Great Britain in Dimple Bottle - 9 x 15cm. 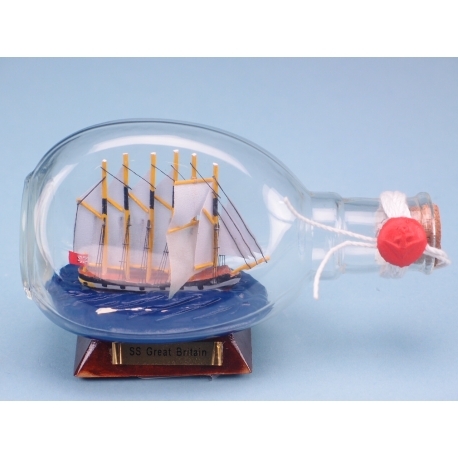 Offer the great-great-grandmother for all modern ships to your customers, with this handmade wooden replica of the magnificent historic ship SS Great Britain 9 x 15cm. Sealed with wax and a cork and mounted on a wooden stand with nameplate.